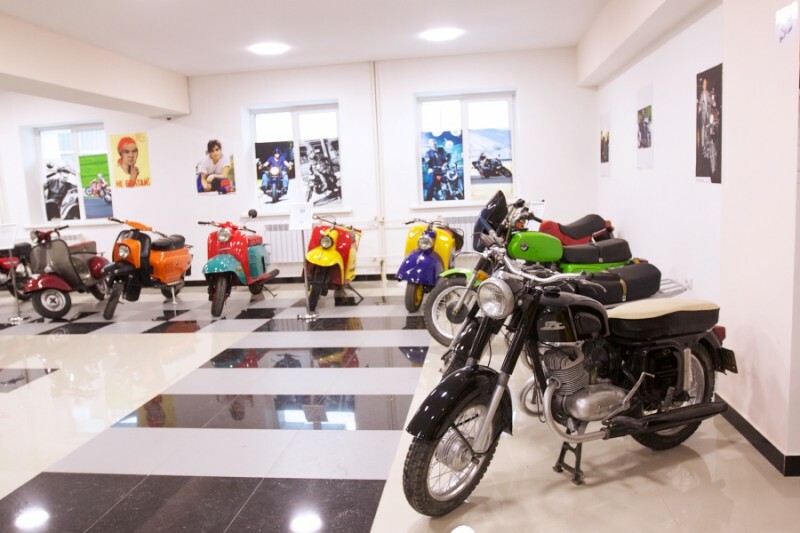 The Motorbikes Museum is opened in Irkutsk! It is a private collection of Vladimir Astafiev, who found, put together and restored more than 40 old nice Soviet made motorbikes. There are also 5 Czech Javas and 1 CZ sports bikes. Some of the bikes are 60 years old! What is exciting about this museum is that you can actually touch, sit and even ride (special agreement required!) any of the motorbikes! Besides of the bikes, the museum has a very interesting collection of everyday life items: furniture, clothing, musical instruments, photographs, kitchen utensils. Besides of the main motorbikes exposition, they built two atmospheric rooms: a 1900’s style, and a typical Soviet flat. English speaking guide is available!